Voter ID in Britain is being put forward to fix the problem of voter fraud. Toby James claims that there is little evidence of widespread voter fraud. Rather, research shows that voter identification requirements might restrict turnout unevenly across British society and is the policy option that is likely to be considered strategically by the main political parties. The Sunday Times has reported that the voter ID proposals are being considered by the government. The Electoral Commission has been reviewing electoral fraud in Britain and will publish its report tomorrow. According to The Sunday Times, it will propose that citizens should show identification such as their passport or driving licence to prove their identity at polling stations. My research shows some evidence of declining confidence in the process of casting a vote. Speaking to electoral administrators recently, many explained that citizens expect tight security procedures around the voting process. We have passwords and verification processes for banking and other services. It therefore surprises citizens that they can arrive without any form of identification (not even their polling card). But is there actually any voter fraud? And what other effects might voter identification have? Is there really evidence of electoral fraud? There have been some cases of fraud in Britain, for sure. Stuart Wilks-Heeg recently analysed the number of people found guilty of electoral malpractice in the UK. The most famous case of electoral fraud was in 2004 when judge, presiding over the case declared that the ‘evidence of electoral fraud that would disgrace a banana republic.’ This headline has been banded around again and again by journalists, academics and commentators. However, it is very feasible that the problem of electoral fraud is of one smoke without fire. Voter fraud is commonly claimed to be widespread in the US. Systematic studies, however, show that voter fraud almost non-existent. One study has suggested that as many people commit voter fraud, as think that they have been abducted by aliens. No, really. Requirements to produce passports and other forms of identification may sound reasonable enough, but they will have unintended (or perhaps intended? See below) consequences. They stop people voting. Imagine this scenario. You decide to vote on the way back from work. But after a busy day you realise that you forgot your passport. What do you do? Head back home, collect your passport and then vote? The answer for many citizens would be head home and stay there. That extra time is the difference between voting and not voting. Most studies do show that voter turnout is adversely affected by voter ID requirements. It will be interesting to see whether such academic research will have been included in the Electoral Commission’s review. A decline in turnout is unpalatable for democracy in Britain, especially given that so few of us vote already. However, the problem is more than that. Studies from the US show that some people are more likely to have the forms of ID that state governments require than others. This means that introducing voter ID can introduce a systematic bias against particular groups. In the US these groups are racial and ethnic minority groups, those on lower incomes or with lower education qualifications. Is there a reason to think that a British system would have different results? There is an even bigger problem. As my book shows, those that support voter ID and do not support voter ID have a difference: a partisan difference. There is a rich history of US politicians using burdensome administrative requirements to try to win elections. Close elections can be won, as much by demobilising your opposition supporters, as mobilising your own supporters. Republican politicians have therefore admitted that voter ID has been a tactic to be deployed to win them power. Analysts agree that attempts to introduce voter ID are ‘highly partisan, strategic and racialized’. As I show in my book, politicians in Britain have been slower to the game. 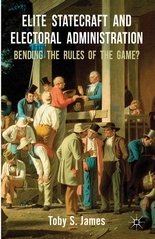 Electoral administration laws remained unchanged for much of the twentieth century. However, New Labour began to think that there was some partisan advantage in making it easier for people to vote and therefore changed electoral law accordingly. 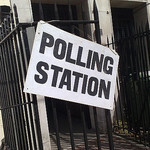 Some Labour politicians thought that the higher turnout that all-postal voting and similar schemes would bring, would give them an advantage since it would get their voters out. It was also a more politically convenient approach to solving the ‘turnout problem’ than electoral system reform. The Conservatives have pushed the opposite approach: tightening up on ‘voter fraud’ by introducing individual registration, despite the risk that registration levels will decline. Further research might be able to say whether it has been partisan advantage that has driven the Conservative approach as well. However, we can expect the largest two parties to take risk adverse positions on this issue and consider their electoral interests very carefully. In short, there are concerns about voter fraud. But unless the Electoral Commission reveals evidence of widespread systematic fraud, we still do not know how significant this problem really is. We can expect that voter ID could reduce turnout unevenly, and party positions on the policy issue will be electorally motivated. We frankly need more research. And if Voter ID is to be considered, it should be trialled before becoming widespread. This was originally posted on the University of East Anglia’s Politics Blog.